Homeowners in Northern California have questioned the practices of Fannie Mae and Freddie Mac in foreclosure proceedings. 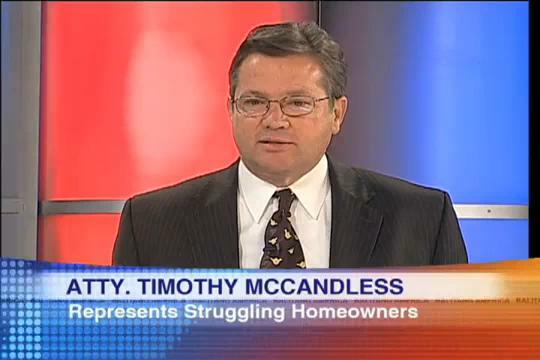 If you are facing a foreclosure, you may be able to keep the property by filing for bankruptcy. You should consult with an attorney regarding your legal options. According to the New York Times, the report is the second in two weeks in which the inspector general has outlined lapses at both the Federal Housing Finance Agency and the companies it oversees Federal National Mortgage Assn (Fannie Mae) and Federal Home Loan Mortgage Corp (Freddie Mac). The agency has acted as conservator for the companies since they were taken over by the government in 2008. Its duty is to ensure that their operations do not pose additional risk to the taxpayers who now own them. 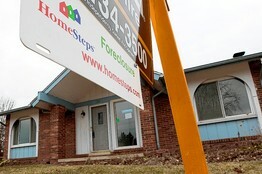 The companies have tapped the taxpayers to cover mortgage losses totaling about $160 billion. The new report from the inspector general tracks Fannie Mae’s dealings with the law firms handling its foreclosures from 1997, when the company created its so-called retained attorney network. At the time, Fannie Mae was a highly profitable and powerful institution, and it devised the legal network to ensure that borrower defaults would be resolved with efficiency and speed. After receiving information from a shareholder in 2003 about foreclosure abuses by its law firms, Fannie Mae assigned its outside counsel to investigate, according to the report. That law firm concluded in a 2006 analysis that “foreclosure attorneys in Florida are routinely filing false pleadings and affidavits,” and that the practice could be occurring elsewhere. “It is axiomatic that the practice is improper and should be stopped,” the law firm said. The inspector general’s report said that it could not be determined whether Fannie Mae had alerted its regulator, then the Office of Federal Housing Enterprise Oversight, to the legal improprieties identified by its internal investigation. The inspector general said that both Fannie Mae and its regulator appear to have ignored other signs of problems in their foreclosure operations. For example, the Federal Housing Finance Agency did not respond to borrower complaints about improper actions taken by law firms in foreclosures received as early as August 2009, even though foreclosure abuse poses operational and financial risks to Fannie Mae. 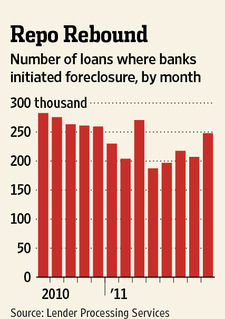 The report cited a media report from early 2008 detailing foreclosure abuses by law firms doing work for Fannie Mae. Nevertheless, a few months later and just before its takeover by the government, Fannie Mae began requiring the banks that serviced its loans to use only those law firms that were in its network. By then, 140 law firms in 31 jurisdictions were in the group. Fannie Mae, the mortgage finance giant, learned as early as 2003 of extensive foreclosure abuses among the law firms it had hired to remove troubled borrowers from their homes. But the company did little to correct the firms’ practices,. Finally last fall, after an outcry over apparently forged foreclosure documents and other improprieties, the Federal Housing Finance Agency began investigating the company’s process. In a report issued early this year, it determined that Fannie Mae’s management of its network of lawyers did not meet safety and soundness standards. Among the reasons: the company’s controls to prevent or detect foreclosure abuses were inadequate, as was the company’s monitoring of the law firms. “If a law firm self-reported no issues as it processed cases,” the inspector general said, “then Fannie Mae presumed the firm was doing a good job.” The agency is still deciding how to handle the lawyer network, the inspector general said. 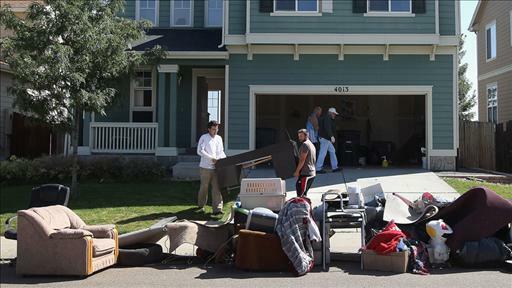 Officials at the housing agency have agreed with the recommendations in the inspector general’s report. Corinne Russell, a spokeswoman for F.H.F.A. said the agency was concluding its supervisory work in this area and would direct Fannie Mae to take necessary action when the work was completed.